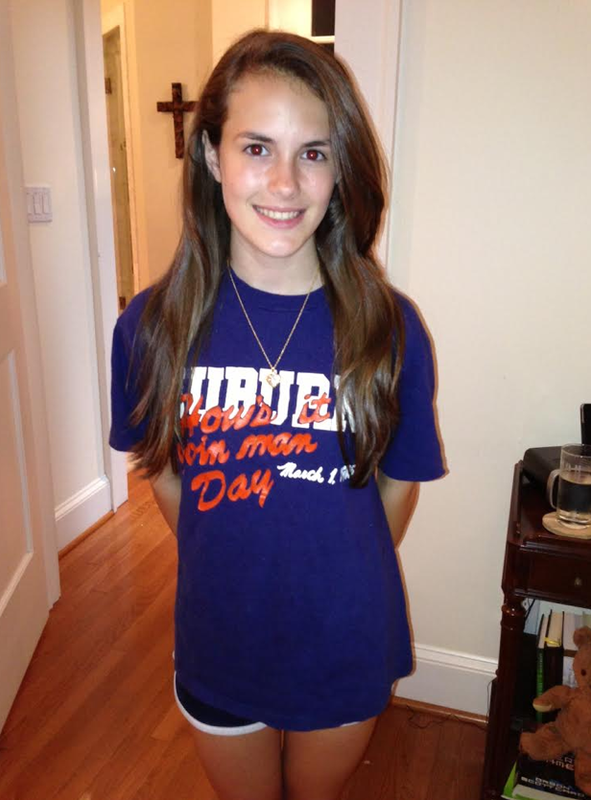 Maybe “hey” was thought to be, like, too plain or bogus at the height 0f Valspeak and surfer slang, but whatever the reason, the revival of Auburn’s Hey Day tradition in 1984-85 inspired a countermovement not in spirit but in tone: How’s It Goin’ Man Day. TWER reader David Bivins tells us that How’s It Goin’ Man Day was the brainchild of Lambda Chi Steve Hamilton, then drummer and lead singer of the Auburn cover band The Far Side, now an eye surgeon in Atlanta. 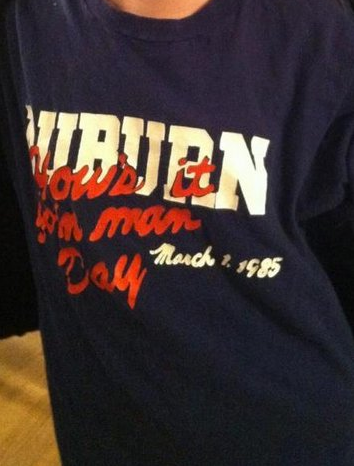 His entrepreneurial penchant for amusing apparel apparently never abated, nor did his Auburn spirit. David says Hamilton is also the founder of PajamaFace.com, which sells, among other things, personalized boxer shorts featuring your face on the body of what appears to be an Auburn football player. Related: Bjork wrote a song about Hey Day. Originally published Oct. 4, 2012. * Bash the Bama Car!